Take a long and hard look at your floors. How is the situation with the carpets? Do you see any stains or smudges of dirt? How about streaks of dust that were never properly taken care of? 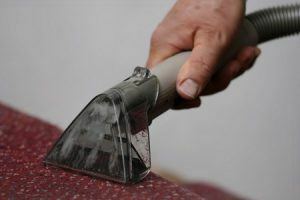 If so and you have no chance to do it yourself, then trust the professionals of The Top Carpet Cleaning company. We are the solution to all carpet-related problems concerning dirt. We will help you right away with useful information, affordable services, and a quick response to any need you have. Make no mistake, this is where you get the best carpet cleaning in Putney. We are the top choice in the area and in the entire SW15 district. our prices are affordable for your budget. No carpet is too difficult to be taken care of. Here at The Top Carpet Cleaning company we know how to take care of everything ranging from standard rugs to Persian masterpieces. We take great care when handling every kind of carpet and strive to not only clean it, but also keep its integrity intact. 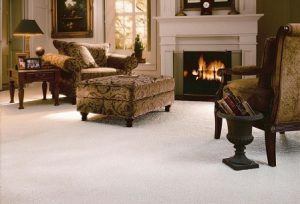 That way the carpet or rug never gets worn out and it can be of use to you for longer and longer. We take away all signs of it being worn out and we make sure to refresh it and bring back more life into it. With us your carpets stay cleaner for longer and last longer as a floor covering. When you call 020 3322 8944 you get professionals working for you. You get the best teams in Putney knocking on your door, ready to serve and please. Call 020 3322 8944 right away and what you will hear from our customer support operators is the best offer you will get in the Putney area. We provide excellent deals, ones that are competitive and reasonable. We strive to always be one step ahead from the other companies in the area and you can be sure that you will find the best deals right here! Putney is an area on the south bank of the River Thames, near the central part of London, and located within the London Borough of Wandsworth. This area is one of the 35 major centres on Greater London. One notable part of the area is entirely dedicated to the great outdoors. Despite the proximity to the grand centre of the busy heart of London, it provides many opportunities to get some fresh and enjoy many activities and leisure time. Horseback riding, bowling, cycling, it is all there in Putney. And if these activities are too much and you just want a quiet stroll down a peaceful park, then the Putney Heath and the Wandsworth Park are just a short walk away. Book the top carpet cleaning in Putney today by making a simple call. Get in touch with us and hire the best cleaners – call 020 3322 8944.